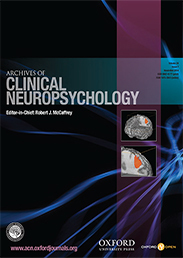 Archives of Clinical Neuropsychology publishes original contributions dealing with psychological aspects of the etiology, diagnosis, and treatment of disorders arising out of dysfunction of the central nervous system. Traumatic brain injury (TBI) has often been called the “signature wound” of the recent conflicts in the Middle East. While some tend to discuss TBI as an overarching diagnostic category, there is a plethora of evidence indicating that severity of TBI makes a large difference in the anticipated outcome. Since the year 2000, slightly less than 10% of all head injuries to service members around the world have resulted in moderate to severe TBI, while most TBIs (about 82.5%) have been categorized as mild in severity. As mild injuries are less obvious than more severe injuries in the acute phase—typically there is little or no loss of consciousness, for example—the US Department of Defense and Department of Veterans Affairs (VA) have taken action to try to prevent missing some of these more subtle injuries. The screening of returning veterans has become a mandatory component of routine care within VA facilities. Veterans who describe experiences with mild TBI (mTBI) often primarily endorse persisting symptoms like headaches and memory or concentration problems, among other symptoms. 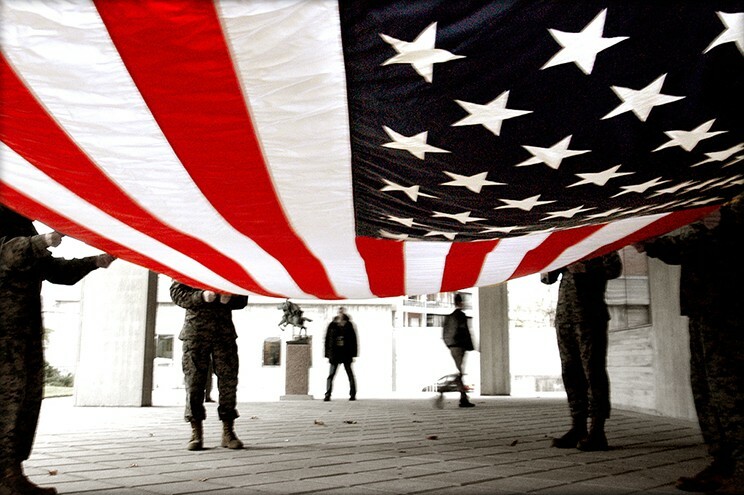 One challenge that VA providers face is that persisting symptoms of TBI, such as sleep disturbance, anxiety or depression, and cognitive difficulties, often overlap with those of other problems faced by returning veterans, including post-traumatic stress disorder (PTSD). Much of the research literature on mTBI in returning veterans has focused on the interplay or distinction between mTBI and PTSD. One of the more interesting frequent findings has been that individuals with mTBI report more distressful psychological symptoms than do individuals with more severe injuries. One potential explanation for this is that individuals with more severe injuries have extensive neurological damage affecting their self-awareness. Another explanation, though, is that persisting mTBI results from a complex array of biological, psychological, and social contributions that are rooted less in neurological damage than in factors specific to the individual and his or her environment. Soldiers preparing to fold an American flag. Photo by Vince Alongi. CC BY 2.0 via Free Stock Photos. In support of such a perspective, the severity of reported cognitive symptoms has been shown to be associated with depression and PTSD, but not with severity of the head injury itself. In fact, the neuropsychological research on mTBI demonstrates little to no effect of injury on cognitive functioning beyond the first few weeks post-injury, once other variables such as motivation are controlled. Motivation affects the validity of cognitive testing results and is especially important to consider in this population, as about 40% of all evaluation results are ultimately found to be invalid and not representative of the individual’s current brain functioning. Regardless of the cause of the cognitive complaints, returning US veterans are subjectively experiencing increased problems with memory and attention. Our methods of assessing these symptoms are widening, with the increased use of paper-and-pencil clinical measures in-theater and at home, as well as continued efforts to develop computerized measures that can be easily administered, but currently have questionable reliability and therefore lesser utility. In response to the cognitive and psychological concerns reported by veterans, there are many programs being developed in the military, in the VA system, and in the private sector to help rehabilitate the cognitive symptoms experienced by returning veterans and to help them function better on a day-to-day basis and to achieve the post-deployment goals they have set for themselves. Featured Image Credit: Soldiers crawling on the ground in basic training. United States Air Force photo by Master Sgt. Scott Reed. Public Domain via Free Stock Photos. Lee Ashendorf, Ph.D., is Assistant Professor of Psychiatry at Boston University School of Medicine and a neuropsychologist at the Bedford VA Medical Center. He is an Associate Editor for Archives of Clinical Neuropsychology.